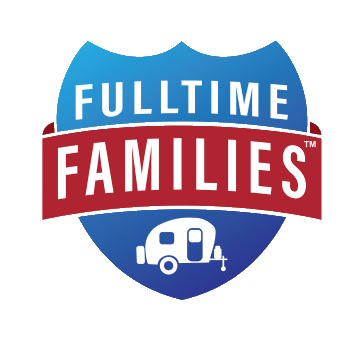 Last week we announced we would no longer be traveling fulltime. 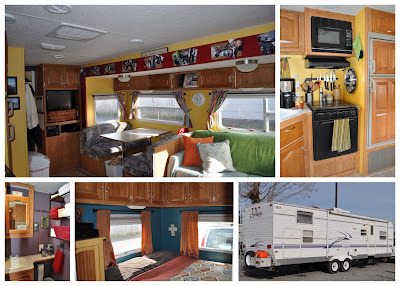 Its a happy transition for us, but our home on wheels in not feeling the love. We just don't think its right of us to store the trailer and use it once or twice a year. If you love camping & traveling & have a large family, this layout is perfect! Help us spread the word by sharing on Facebook or Tweeting, thanks! I love your Travel Trailer! I just moved into ours and I'm thinking about all the shelving it's going to need, so true! I'll spread the word! Stephanie - Do you remember the yellow paint color you used for the kitchen? I just love it! You really made that travel trailer homey! I'm so impressed. We're chin-deep researching RV options right now. Trying to decide between Class A, Class C, Fifth Wheel, etc. P.S. I'd like to know the yellow paint color too if you remember it. Hopefully we'll see you on the road!